Former Manchester United defender Rio Ferdinand has stated that Manchester United should consider replacing Louis van Gaal during the summer. 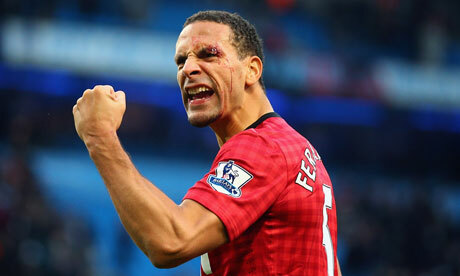 The best choice will be to go for Jose Mourinho according to Ferdinand. He said that the Portuguese manager has the know-how and the experience needed to manage a team of this stature. Rio Ferdinand believes that if the club wants to replace Louis van Gaal in the summer, they should make the move now especially with Jose Mourinho free. He added that a manager of this quality will not remain without a job for a long time, and they should make the move now. Louis van Gaal has stated that he will still be the manager of Manchester United next season, but Rio Ferdinand does not seem to agree. For him, Mourinho will definitely be an upgrade over Louis van Gaal, and he wants to see the board sign the Portuguese manager. It is reported that Jose Mourinho wants to manage Manchester United and has turned down job offers from Real Madrid and Paris Saint-Germain. Ever since Sir Alex Ferguson was the manager of Manchester United, Jose Mourinho has always wanted to manage the Red Devils and will feel that this is the right moment for him to do it. However, Ferdinand believes that the United board should move swiftly if they want to replace Louis van Gaal. This will give the new manager time to prepare the team and make any transfer dealings ahead of the new season. It is believed that the Manchester United board will take a decision after the FA Cup final as they do not want to disrupt the team ahead of this important match. Manchester United will be facing Crystal Palace on Saturday in the FA Cup final. An iconic figure of Manchester United wanted to join Arsenal REAL MADRID DEFENDER LABELED "AN ACTOR"